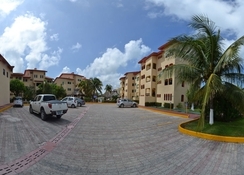 The Cancun Clipper Club is nestled in the heart of the Hotel Zone, directly beside the Nichupte Lagoon. Within walking distance to the white-sand beach, many of the resorts restaurants, shopping malls and exciting nightlife destinations - this hotel makes for a great base when visiting Cancun. 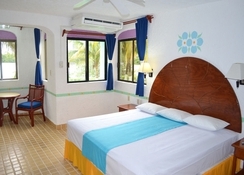 Cancun Clipper Club suites comprise of a comfortable bed, bathroom with a jacuzzi, air conditioning, a living area and more. If you're interested in facilities and amenities, the hotel's outdoor swimming pool proves a popular pastime, with a swim-up bar and a children's pool to match. The scenic garden area is great to relax in, while the fitness centre is ideal for guests who like to stay active while on holiday, and the on-site restaurant serves a wide variety of dishes from tasty burgers to delicious coconut shrimp. Outside of the resort there's plenty to see and do thanks to its central location, with Downtown Cancun just a 15-minute drive away. This hotel is situated in the heart of the Hotel Zone, a popular spot to stay in the bustling resort town. 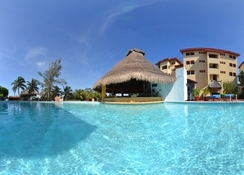 Cancun is a stunning city boasting approximately 25km of spectacular beaches and translucent waters. The city has several tourist attractions such as Chichen Itza – a world heritage site in Mexico, Xel-Ha – a commercial aquatic theme park and Musa – an underwater museum which now consists of two salons and includes over 460 statues. The Cancun International Airport is about 24km from the hotel. 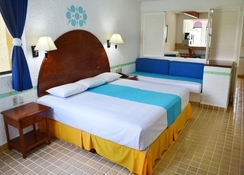 The Cancun Clipper Club Hotel offers two types of rooms – Standard and King Studio. The Standard Rooms feature two double beds, air conditioning, ceiling fan, satellite television, ironing facilities, safe deposit box, shower and bath and telephone. The King Studio features one king size bed, a living/dining area and a minibar. The hotel provides in-room service throughout the day, making your stay comfortable. The Palapa Ray’s serves up breakfast, lunch and dinner at pocket-friendly prices. The varied options on the menu will satisfy all kinds of foodies, from simple but tasty burgers to more exotic coconut shrimp. Moreover, the restaurant’s cosy atmosphere makes this place a guest-favourite. There are many other restaurants available near the hotel, where you can explore Mexican, Italian and other cuisines from across the world. 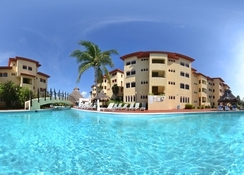 The Cancun Clipper Club has several sports and entertainment facilities, both for kids and adults. 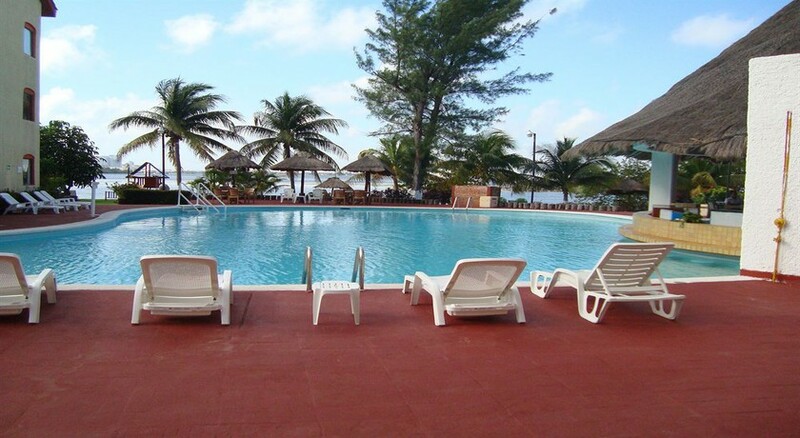 There is an outdoor swimming pool, where the adults can take a relaxing swim in the sun, while the kids can splash the water in the children’s pool. In addition to this, there are many sports and recreational facilities nearby that include water skiing, parasailing, sailing, golfing, surfing, boogie boarding and windsurfing.